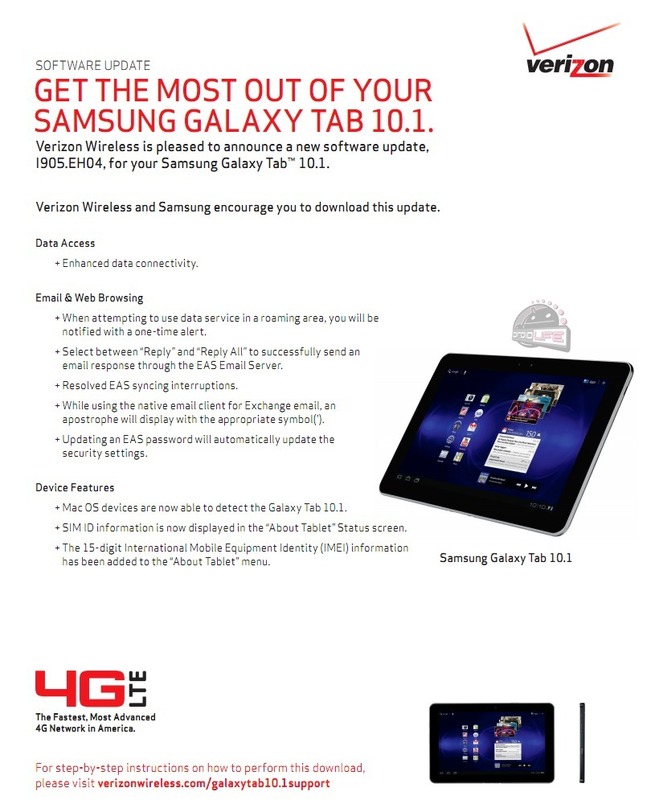 A minor update should be pushing out to the Galaxy Tab 10.1 with 4G LTE (our review) here in the next week or so. The support documents for build EH04 (11.4MB) have been uploaded to Verizon’s servers, which is usually a good sign that everything has been approved and just needs to be opened up to the world. It doesn’t appear to be Android 3.2 or include the TouchWizUX interface that graced WiFi-only users a few weeks back, but it does help out with the most important to this device, its 4G LTE connection. Other than that, looks like a bunch of bug fixes.